MOMOLU MINIS AT KIDSCREEN & C21 MAGAZINE! “Finnish prodco Ferly (formerly known as Kaiken Entertainment) has signed a deal with UK distributor CAKE’s Popcorn Digital arm to develop and launch its content on YouTube. 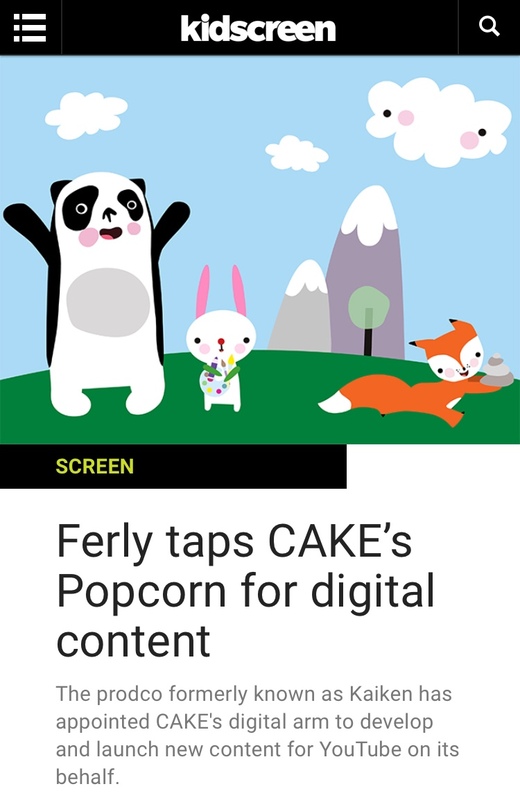 Popcorn will be driving Ferly’s digital strategy, creating original animated content based on the prodco’s IP and launching new YouTube channels to complement its existing ones. To kick things off, Ferly and Popcorn will work together on Momolu Minis (pictured), a new digital series expected to launch later this year. Based on the upcoming 2D-animated preschool series Momolu and Friends, the digital iteration will include early-learning videos, nursery rhymes and season specials for the younger audience. MOMOLU MINIS ON FERLY PLAYGROUND YOUTUBE CHANNEL!